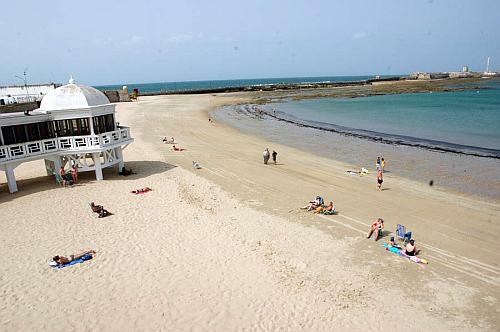 Last May, the Association of Environmental and Consumer Education (Adeac) confirmed what we all already knew: Cádiz has the best beaches in Andalusia. And is that this body, responsible for the distribution of the famous blue flags, gave the Andalusian province for this 2018 a total of thirty distinctions, one more than the previous year. In this way, this seal of quality corroborates the excellence of the beaches of Cadiz. 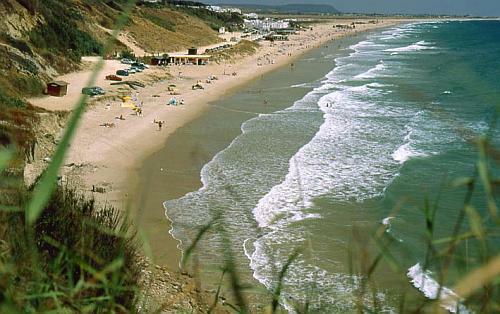 A few beaches that, year after year, satisfy the lovers not only of the sun and the baths in the sea, but also of the nature, the landscape and the virgin spaces. But, among these thirty beaches, which ones are the best? 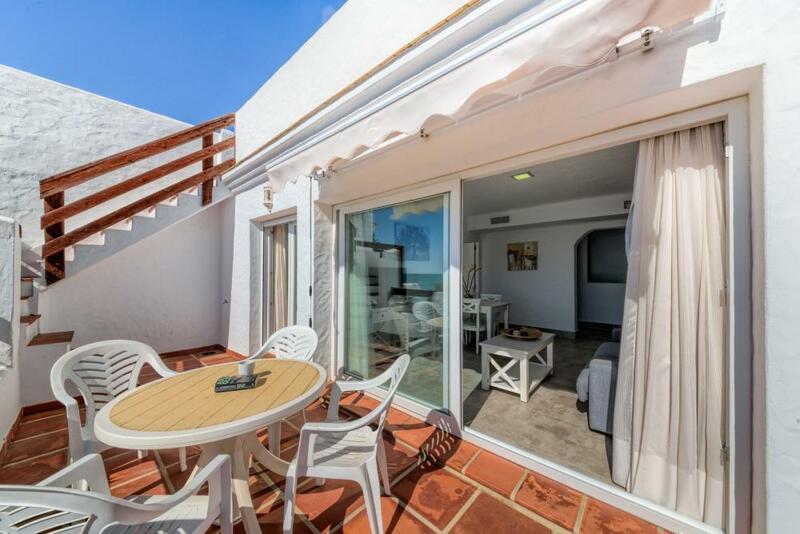 It is very difficult to choose a handful of them, however here we will bring some that due to their uniqueness, proximity and popularity deserve a visit from Villas Flamenco, the best accommodations on the coast of Cadiz. With 1,200 meters long and very close to Villas Flamenco, La Fontanilla beach, located in Conil, is one of the most valued of the Costa de La Luz. Its quality is endorsed not only by the blue flag but also by other distinctions such as Q for Tourist Quality and Environmental Certification 14.001. Its fine white sand and crystal clear waters constantly invite you to bathe. Both because of its extension and because of the shallow depth, La Fontanilla beach is ideal for a family holiday. And for lovers of gastronomy, it is necessary to note that on this beach are some of the most emblematic beach bars of the province of Cádiz, such as La Fontanilla, El Oasis Beach Club or La Ola. From Cabo Roche to the urbanization of the same name, these coves are happening that are a marvel of nature and a must stop for lovers of landscapes that are tourism in the province of Cádiz. Cala Cabo, Tío Juan de Medina Cove, Cala Medina, Cala del Pato, Cala del Frailecillo Cala Encendida, Áspera Cove are unique places, where you can get to a path surrounded by species from the area, such as maritime junipers, currently in Danger of extinction. To enjoy a swim in its cold and moving waters, it is necessary to go down some stairs that seem embedded in these rocky and reddish cliffs. These Calas de Roches, where nudism is usually practiced, are ideal for sheltering from the well-known Levante wind that sometimes blows strongly in the area. It is advisable to stay in these virgin beaches until sunset because their sunsets are truly unique. 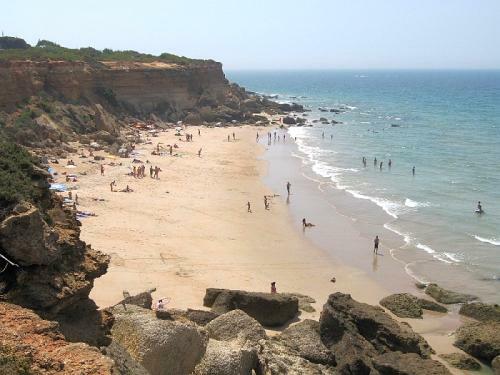 A few kilometers from Conil is the neighboring beach of La Barrosa. With 8 kilometers of fine white sand, this beach is one of the most popular and known in Spain and stands out for the great amount of service it offers: chiringuitos for all tastes, water areas for water sports, street markets and a Boardwalk packed with strollers at sunset. Note that the area of La Barrosa closest to Villas Flamenco, known as Novo Sancti Petri, is highly valued by fans of golf. It has no more or less than four fields: La Estancia, Real Golf Club Novo Sancti Petri, Sancti Petri Hills Golf and Family Golf. From the customer service of Villas Flamenco we will be happy to facilitate the practice of this sport in any of these recognized and prized golf courses. 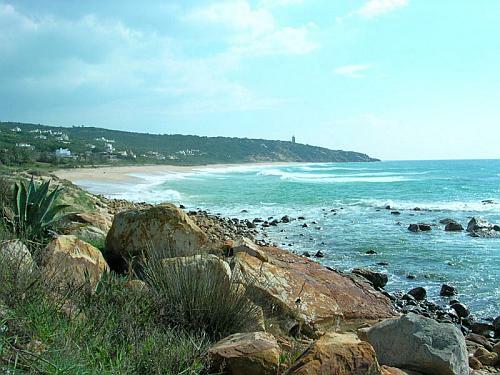 About 30 kilometers from Conil is Zahara de los Atunes, one of the coolest places in Spain to spend the summer holidays. Not in vain, to this small town of the province of Cádiz with beaches of exceptional beauty numerous celebrities flock to take refuge from mass tourism that ravages other points of the Spanish coast. Of course Zahara stands out for its excellent coastline with its extensive and clean beaches: the Carmen, Atlanterra or the wonderful of the Germans, but also for its cheerful, colorful and, above all lively atmosphere. Its urban center invites us to get lost among its many shops for all tastes and pockets and with that casual touch that reigns in Zahara. But also invites you to enjoy its excellent cuisine, because there is a restaurant for all palates. El Trasteo, El Zoko, La Taberna El Campero or Casa Juanito are a small sample of the great variety of restaurants with one thing in common: their excellent quality. It is mandatory to end this tour on the part of the Costa de la Luz on the coquettish beach of La Caleta. Located in the city center of Cádiz, between the castles of San Sebastián and Santa Catalina, it has the spectacular spa of Nuestra Señora de la Palma on its sand. Its unique beauty makes it especially loved by the people of Cadiz. You have to remember that La Caleta filmed the most mythical scene of the movie Die Another Day from the popular James Bond saga. This cove is also known for the rich archaeological remains that hide its waters, since it was the place where ships anchored in ancient times. The Phoenician ships arrived here in Gadir with their cellars full of all kinds of merchandise and from here they also started with raw materials and products made in the colony. And this walk through La Caleta deserves to be completed with a visit to one of the most appreciated restaurants in Cádiz: El Faro. Located a few meters away, this renowned restaurant is perfect for tasting the varied and excellent gastronomy of Cadiz. Their products are always fresh and of the highest quality. Do you want to know the best beaches in Andalusia? 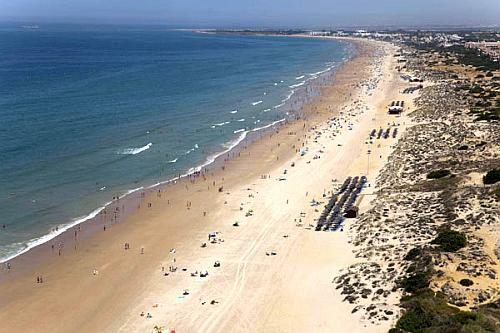 Do you want to enjoy not only these wonderful beaches but also the prestigious cuisine of Cadiz? Yes of course and your accommodation is Villas Flamenco, where our customer service will offer you all the information you want about these places and many others. And do not forget that we have great discounts all year round for early booking and family vacations. Consult us without obligation! Come and enjoy the best of Andalusia, come to Conil de la Frontera.